The new Mercedes-Benz C-Class has new performance and utility features to create a safer, more exciting driving experience. Find the C-Class at Mercedes-Benz of Fairfield. The C-Class provides your drive with ultra comfortable power front seats, mbrace® technology, and safety features including Collision Prevention Assist Plus. There’s plenty to excite your Norwalk commute. Our sales team is standing by to get you behind the wheel of the model that best suits your budget and driving needs, and we always have rotating vehicle specials to make the car-buying process that much less stressful. 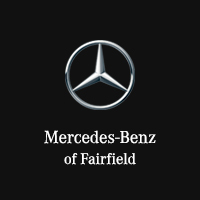 When you’re ready to take your Norwalk commute to the next level, stop by Mercedes-Benz of Fairfield to pursue the Mercedes-Benz models for sale in Fairfield, CT! Not sure about the C-Class? Compare it to the Mercedes-Benz A-Class and E-Class or read more about the performance features to help you make the right choice for you. Contact us today!